Lots can go wrong on takeoff and initial climb. Here’s how to prevent that from happening. In some respects, takeoffs can’t get no respect. 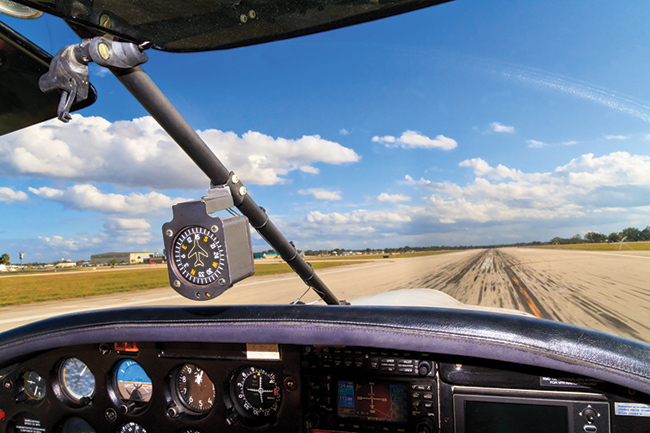 It seems there are a myriad of mistakes pilots can make on departures, and studies show that nearly one of every five general aviation accidents are directly, or indirectly, related to a poor decision or omission during takeoff. Yet, pilots rarely practice aborted takeoffs, preferring instead to concentrate on emergency landings, usually from a relatively high altitude that allows plenty of time for trouble shooting and searching for a place to perch. The first three minutes are perhaps the most critical, as that interval after the throttles go full forward can define what happens if the pilot experiences a real emergency. 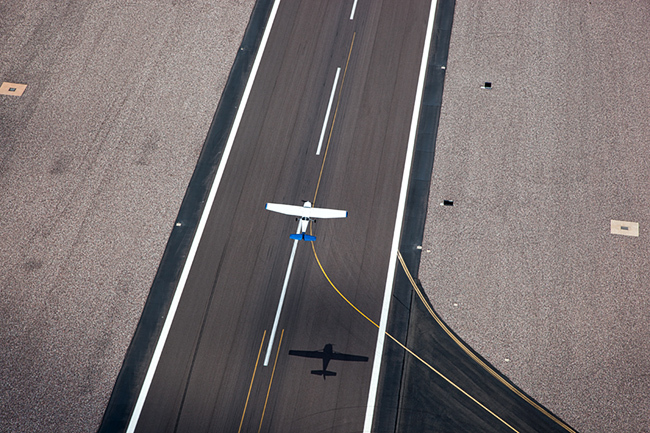 Three minutes will normally allow most aircraft to clear the active runway, so landing on the asphalt straight ahead will no longer be an option. Similarly, three minutes will usually permit the airplane to clean up and climb the first thousand feet where some lightly loaded models may be able to complete the dreaded turnback maneuver and land downwind—but don’t bet on it. I’m probably reasonably qualified to write about takeoff problems as I have a modicum of experience, an advantage that has allowed me to recognize a mistake the second time I make it. In fact, I’m living proof that you can sometimes make the same mistake two or three times and survive. I’ve made most of these errors (or at least, witnessed them for 50 years), so I feel fortunate not to have suffered the consequences. There’s less margin for error on takeoff than in practically any other phase of flight, partially because the aircraft is slow, usually operating at less than 1.5 Vso, and it’s close to the runway. Ignoring mid-air collisions, which are relatively rare events, an airplane has to impact the Earth to suffer an accident. Essential electrical, pneumatic and hydraulic systems are just getting warmed up, and the pilot can only hope they’ll continue to function properly under full power. If a system fails in cruise or during an approach, the panacea of altitude may provide some time to deal with the problem before you must return to the ground. If you’ve just lifted off, your decisions may need to be practically instantaneous. In too many instances, it’s the more experienced aviators who come to grief when something goes wrong during departure. Pilots who’ve been fortunate to fly several thousand hours without a takeoff emergency may be lulled into a sense of complacency, assuming that, if it hasn’t happened so far, it never will. 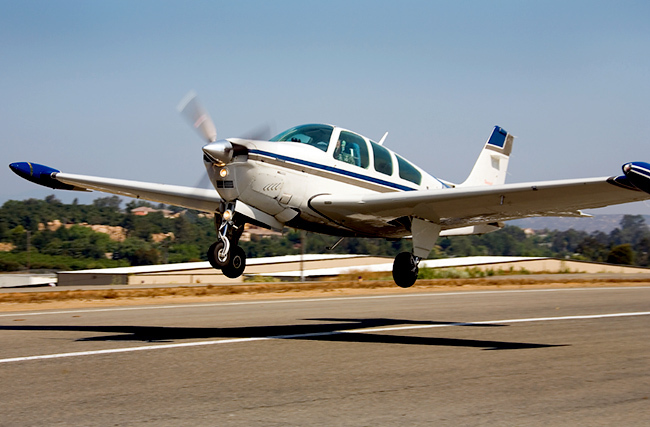 Flight instructors have been preaching for years that many takeoff accidents are born during the preflight, well before the pilot even starts the engine. 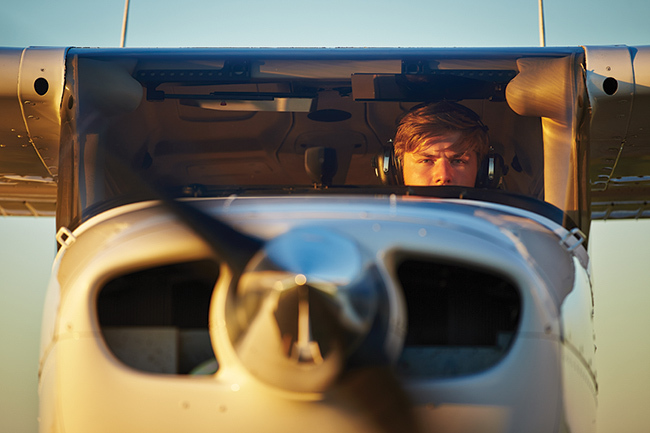 A good preflight is an obvious advantage, but some pilots have a leg up. 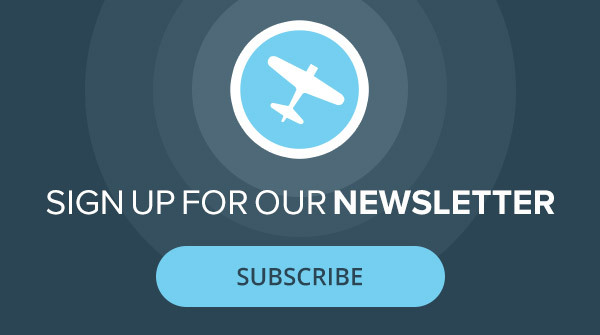 Sole owners of hangared aircraft are perhaps the least likely to experience problems, as they’re the only ones to fly the airplane, and it’s locked in a hangar between flights. Not much can change without some form of adverse human intervention. Sadly, that’s rarely the case with club or rental aircraft. These demand a more meticulous preflight. Squawks may not be noted on the sign-in sheet for fear the owner(s) will blame the last pilot to fly. Religious use of checklists can sidestep problems and avoid many preflight errors of omission, whether deliberate or accidental. Perhaps strangely, while call-and-response checklists are the rule inside the cockpit of airliners, that’s not the case during the walk-around. Proper preflights are as important to pilots of Pipers and Cessnas as they are to Boeing and Airbus crews. It’s also true that some basic errors of omission occur to both groups. Entire books have been written about the importance of a comprehensive preflight , so we’ll leave that subject for another time. A few critical oversights can drastically affect the first three minutes of fight, however. Some pilots fail to release all control locks, and that can be fatal unless you’re a talented ad-libber. One pilot flying a medium twin out of an airport in California left the elevator lock in place, didn’t bother with a control check during the runup and, incredibly, pushed the throttles full forward to go without having touched the yoke. He admitted later, he didn’t even touch the controls until he was well into the takeoff run. That’s when he discovered the elevators were still locked in place. He was rapidly running out of asphalt, so he thumbed in the up-elevator electric trim and succeeded in a semblance of rotation. After experimenting with the unfamiliar concept of flying by pitch trim and rudder alone, he managed to circle the airport and make a semi-successful landing. Another common mistake that need not be fatal but sometimes is—failure to remove the pitot tube cover. If you insist on practicing flying without an airspeed indicator, leave the pitot cover in place and try to guess your airspeed. Better still, buy one of those little circular, three-inch, suction cups to cover the ASI and allow yourself to learn how the airplane feels at various airspeeds. Many pilots, and yes, this one included, have started engines with a tiedown still in place or chocks firmly restraining the wheels from turning. That doesn’t usually result in an accident, but it can. One Bonanza pilot at an uncontrolled airport in Alabama started the engine with the tail tiedown chain still attached, taxied to the active runway towing a large cement block behind him, checked for traffic and actually tried to fly. The Bonanza staggered into the air and mushed several hundred feet down the runway before the cement finally won. The Bonanza wound up in a heap on the runway, though the pilot walked away with only his pride and his wallet embarrassed. Open doors and baggage compartments are another source of trouble, but it’s mostly noise and confusion. With For the most part, neither problem has much aerodynamic effect on light airplanes and often represents nothing more than a distraction. The reason it sometimes causes accidents is that pilots mistake the noise and rush of wind as a real emergency and make poor decisions that result in loss of control. Mismanagement of the aircraft fuel system is a common cause of mishaps during the first, critical, three minutes of flight. Loose oil and fuel caps are common problems, as well, and I’ve been guilty of both offenses, exactly once each, OK, maybe twice. Oil caps often are hidden beneath access doors, and some pilots’ philosophy seems to be “out of sight, out of trouble.” A new Bellanca Viking I tested back in the late ‘70s blew engine oil all over the windshield shortly after takeoff from Denver. Fortunately, I landed on a crossing runway. You wouldn’t believe how much of a mess a tiny amount of leaking oil makes on a windshield. I’d ordered two quarts with the top-off, and someone had failed to tighten the cap. Me. Fuel caps can present a problem as well. Back in 1989, I landed at rainy Prestwick, Scotland bound for Kassel, Germany in the first production Piper Mirage and dashed off to the flight planning office while the airplane was being serviced. When I came back, I signed the credit card bill, hurried through the preflight and jumped back into the airplane to avoid the rain. Right after wheels up, the tower reported I was leaving contrails from both fuel tanks. The caps had been set in place by the fueler but not camlocked down. I learned later that was a common practice at Prestwick to force pilots to always double check the caps. There was even a sign in the fueler’s office. Again, my mistake for not checking. Fortunately, both caps were recovered undamaged except for scuffed paint. Mismanagement of the aircraft fuel system is a common cause of mishaps during the first, critical, three minutes of flight. Just as with airspeed indicators, you shouldn’t even consider trusting the fuel gauges in any aircraft. Rely instead on known consumption and (not “or”) a visual check. I’ve gotten in the habit of “sticking” the tanks with one of those handy glass gauges, though they don’t work as well on airplanes with high dihedral and outboard fuel ports. I’ve also gotten in the habit of giving each wingtip a strong shake during fueling to dislodge any air bubbles. Inside the airplane, fuel selectors can be confusing. On some airplanes, a properly positioned selector appears to point away from the tank in use rather than toward it. A few older models, including early Bellanca Cruisemasters, have one fuel gauge with a selector to display the level in three different tanks. You must make certain the tank feeding the engine is the same one you have selected on the gauge. I always make it a point to cycle the fuel tank selector through every possible position before startup to make certain there are no obstructions that might inhibit switching tanks in flight. I’ll often do the same cycle during the runup to determine if every tank containing fuel will feed properly. While I’m at it, I check to ascertain the selector is tight and not liable to come off in my hand. Like many general aviation singles, my airplane has only two tanks, so I’ll usually start the engine on the least full tank, taxi out and switch to the fuller one after I’ve finished everything except the runup. This also may help to avoid the possibility of fuel unporting during climb. Don’t simply trust that the pump is working, however, just because it worked during the start. I don’t touch the selector again until I’m level at cruise. Selecting a new tank can sometimes introduce a bubble of air that may cause the engine to stagger temporarily, not a good idea during a Vy climb right after you’ve put the wheels to bed at low altitude. Unless there’s a reason not to, I always try to use the longest runway. I do some post annual inspection flight test for a major Los Angeles maintenance shop on 300 and 400 series Cessnas, Piper Navajos, Beech Dukes, Twin Commanders and like that, and I’ll always choose the 11,000 foot runway over the 6,000 foot launch pad. I have the same philosophy with my Mooney, a Pitts or a J-3 Cub. You’re correct that I’ll probably never need all that space… until the one time I do. By the way, your choices are your choices, but I never accept an intersection departure. If a controller offers an intersection, I politely refuse and insist on full length. There are a few other checks you can do to avoid surprises during that critical three minutes. If your airplane uses an electric fuel pump, the checklist will suggest it be on during every takeoff to avoid loss of flow should the engine-driven pump fail. Don’t simply trust that the pump is working, however, just because it worked during the start. Look for a slight blip in fuel pressure or fuel flow when you activate the pump. Another telltale sign that it’s running may be a minor drop on the ammeter, though fuel pumps rarely draw much electrical power. You can also pull the throttle back to idle and listen for the sound of the pump. When you’re finally ready to commit aviation, you’ll obviously want to monitor the instruments for proper spool-up indications. If you’re flying IFR with mechanical gauges, add the vacuum gauge to the power-up check. Modern airplanes often register suction in the green at idle, but older models sometimes demand full power to raise the vacuum to proper pressure. I make it a habit to check the suction gauge early, usually right after the throttle hits the forward stop. Even if you do everything right, you can still become a victim of questionable judgment calls. While some engines are rated for max continuous power all the way to cruise altitude (and beyond), other powerplants demand an early reduction in manifold pressure and/or rpm to METO (Maximum Except Takeoff) power. The usual limitation is five minutes, and that‘s normally enough to allow most airplanes to climb to at least 3000 feet AGL. The loss of horsepower with a power reduction may be no more than 10 percent , but the reduction in fuel burn can be more dramatic, as reducing power closes the power enrichment valve (inevitably, the PEV). Accordingly, some pilots who wouldn’t think twice about spending $600,000 or more for a new airplane will try to save a few bucks on fuel by pulling back power far too early, often right after gear up. I used to fly an Aerostar 601P for an attorney who handled accident cases all over the Southwest. On a typical mission, I’d deliver his associates to three or four locations in California, Nevada and Arizona, then make the circuit a second time to pick them up and bring them home. The owner, who did sometimes fly the airplane himself, would come along occasionally and want to fly. That was always uncomfortable, as he had the habit of reducing power at about 300 feet altitude. I warned him about that habit, but he usually just grunted and kept on doing it. One weekend when he was flying with his family, he lost an engine at 400 feet AGL out of Sedona, Arizona, fortunately after the airplane was cleaned up and established in climb. His experience and ability overcame his poor judgment and allowed him to circle and land without further incident. To his credit, he had the class to call me up and tell me I’d been right, for once. There are two obvious disadvantages of reducing power early in the departure. Studies of actual engine failures suggest the greatest risk of a power loss is during the initial power reduction after takeoff. Unless there’s a good reason not to, it just makes good sense to put as much altitude between you and the ground as quickly as possible. You can’t do that on partial power. Similarly, speed is life, and the more speed you have in the bank when something goes wrong, the better off you’ll be. My personal rule is to never make any power reduction within 3000 feet AGL. I’ll burn a little more fuel that way, but I’ll also climb higher and increase my personal safety margin. Every pilot is entitled to determine his own risk tolerance when flying alone, but the margin should be greater when he’s flying with passengers. During those first three critical minutes after power goes to the stop, I’ve always believed in the aviation adage, “The six least valuable things to a pilot are approach plates in the car, fuel in the truck, speed you don’t have, runway behind, altitude above, five minutes ago. A great read and reminder to this student. Thanks for being humble, too; I think that you admit your own mistakes makes the each story hit closer to the heart. Great information , experience ,and wisdom. I like this. But the advice to get to 3,000 AGL is not always practical. I live in San Diego and we take off under a Bravo shelf. Getting to 3,000 isn’t an option in VFR for every take off in the pattern. But I do like the advice and would just amend to do a power reduction as late as possible in the airspace you have to work with. I always try to get to at least 1,000 AGL in a Cessna 172 before reducing power. In the heavier Stationaire I fly, I reduce throttle and prop about 1400 AGL (it drops a lot faster in glide). Thanks for the good and helpful article. I would suggest that you look up the correct way to include the word “myriad” in a sentence. Wow that was great knowledge specially a trainee pilot like me. It gave me an addon to my knowledge which in normal case would come after long time of experience. Very informative article. Experience is the greatest teacher. I’ve left chocks in place, fuel cap not tighten, and baggage door open in 15 years of flying. However after bitten once, it makes my Pre flight even more important now. One more thing I’ll add… if you are flying alone, during preflight, close the doors and windows, I had a wasp fly into the airplane during preflight and decided to fly around right after rotation. Another reason runway behind you serves no purpose. Just a thought.